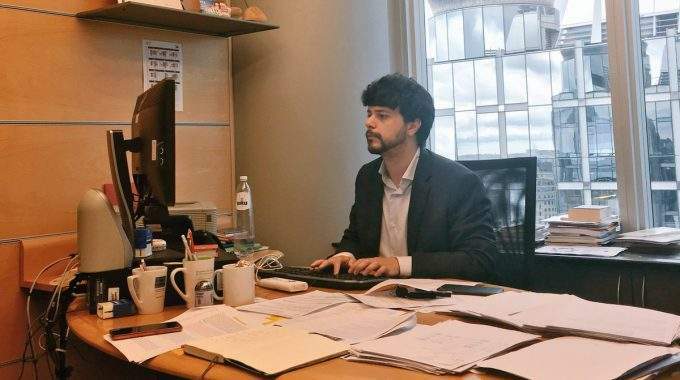 On 12 July, ECAS and the Erasmus Student Network (ESN) held a live chat with Brando Benifei, Member of the European Parliament and co-chair of the Youth Intergroup. The topic of the chat was youth mobility in the EU and the Erasmus+ Programme, and participants could post their questions on Facebook, either in advance or during the chat. The chat featured a short interview with Brando, during which he explained why he works on topics related to youth participation and the Erasmus+ Programme, after which he responded to questions regarding the challenges of EU youth mobility. Many of the questions were identified by the DEEP-linking Youth Digital Dashboard, and included issues around the social inclusion aspects of Erasmus+, the future participation of non-Programme countries, the post-2020 Programme (the current one ends in 2020), Erasmus Mundus joint Master’s Degrees and, of course, Brexit. Brando emphasised, both in the chat and the interview, the potential for extending the possibilities offered by Erasmus+ beyond the “traditional” Erasmus Higher Education. In the Erasmus+ Programme, launched in 2014, there are also possibilities for vocational students, young entrepreneurs and others to do exchanges. However, these opportunities are not as widely used as the Erasmus Higher Education. The DEEP-linking Youth partners would like to warmly thank Brando and everyone who participated in the chat.